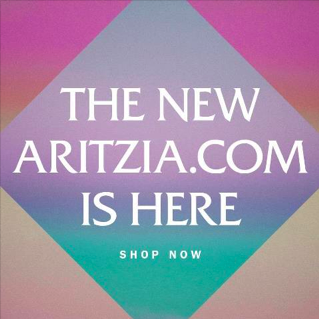 I know a lot of you readers are also fans of Aritzia so I thought I’d let you know that finally they have launched Aritzia.com, their ecommerce site. They are charging a standard shipping rate of $8, and overnight $22 and have a US site and a Canadian site. Woo hoo! I love a lot of Aritzia items but I find the in store experience a little frustrating so I will definitely be taking advantage of shopping from them online. "The Latest: Beaming Blue Daily Yoga Jacket, Black/White Classic Stripe and More"